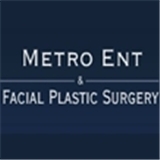 Metro ENT & Facial Plastic Surgery a division of C (Rockville) - Book Appointment Online! Dr. Scott Fitzgerald Daly currently serves as the Chief of Otolaryngology – Head and Neck Surgery at Shady Grove Adventist Hospital. He received his medical degree from the University of Massachusetts Medical School. Dr. Daly is also a member of the American Academy of Otolaryngology – Head and Neck Surgery and the American Academy of Facial Plastic and Reconstructive Surgery.